For more than 25 years, the Windsor Severance Historical Society (WSHS) has strived to promote the history of Windsor and Severance so that future generations will remember and understand our heritage. A heritage that houses a vital link to our everyday lives. Like you, we understand that preserving our past––educationally and culturally––is the best way to leave a legacy, and we have an exciting new project in the works that does just that. 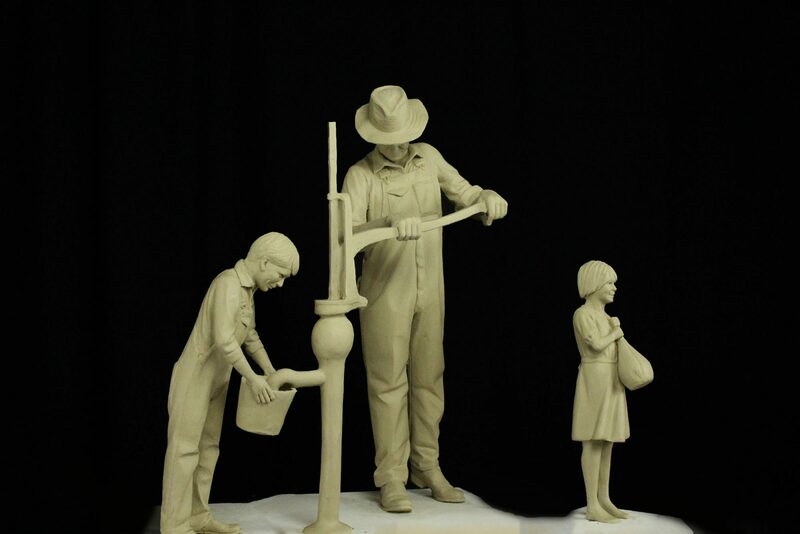 We have commissioned a nine-foot bronze monument that will depict the sugar beet, water and work history of the local area with prominent placement in Boardwalk Park. The sculptor on our project is 25-year-old local resident Austin Weishel, whose sculpture “Follow Your Heart” is currently housed in front of the Windsor Fire Department. Weishel, who is also a volunteer firefighter, combines his passion for both art and firefighting in many of his works, including “Ashes to Answers,” a national fire dog monument in downtown Washington, D.C., and this commission for WSHS, which will delve into history capturing the daily chore of getting water. This project was developed to honor the Windsor-Severance pioneers who came before us. These pioneers came here with a dream, worked hard and had the foresight to understand the importance of making water and irrigation available for farmers and who transformed Windsor into the town as we know it today. It is also a way for us to thank the many volunteers who saw the need to preserve our town’s rich cultural heritage and who started this organization and the buildings and museum at Boardwalk Park.